I've read ten books so far this year. I am truly stunned by this because I usually struggle to read twenty books in the whole year. I think a lot of this has to do with my decision to--paradoxically--stop taking my reading so seriously, but also take it more seriously. I started worrying less about what I was reading and focused more on reading what I've felt like reading. If I don't have another book in mind as soon as I finish my current read, I don't stress. I take a brief break, watch some TV, and eventually pick up something that I blaze through. A big part, I think, of my success has been not trying to force myself to read certain things. If I want to read a few thrillers and a few collections of essays, washed down with some contemporary fiction--great! That said, the changes in the seasons always affect my reading tastes. I can rely on wanting to read (and reread) a few authors or titles each year. A Tree Grows in Brooklyn by Betty Smith Maybe it's because in the spring the trees finally bloom and it's the perfect weather to read outside--not too cold, not too hot, plenty of sun, and plenty of shade. But spring always finds me wanting to re-read this novel. I always get lost in the beautiful language and the beautiful story. I root so hard for Francie to be able to start life anew (and maybe that's part of it too). William Faulkner In college I would skip class on the first true spring day of the year and read As I Lay Dying. The windows would be thrown open to get out the stale winter and to bring in the warm breeze. I would make fresh lemonade. Those days would always move slowly, languidly, at their own pace, much like Faulkner's story. This spring, however, I am branching out and reading Light in August. Next week we're supposed to have weather in the upper 60s after too many days of cold. I am going to my grandparents' house for a few days, where I will sit out on the deck and devour this novel. 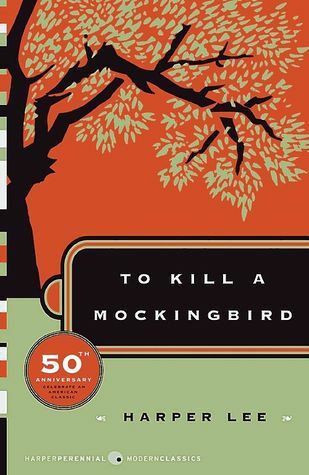 To Kill a Mockingbird by Harper Lee When I think about this novel, I remember so much of it being hot, taking place in the summer, but the purity and the simplicity of it make me want to read it during the spring. When I think back to the first time I read this novel, I recall being outside. Maybe I read it for the first time over spring break or maybe it was just very early in the summer. At any rate, this novel makes me want to be outside while I experience it. What books do you like to read in the spring? 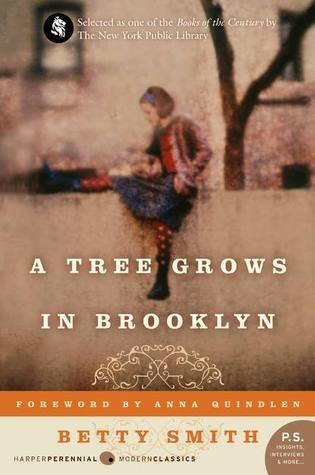 I think A Tree Grows In Brooklyn is the perfect spring novel! One novel that I really want to get around to reading this spring is The Historian by Elizabeth Kostova. I don't know why, but spring always makes me want to read history and historical fiction -- there's something cozier about reading history outside in the spring. Looks like you are well ahead of scedule with your reading which is great! I'm well ahead in my reading but I expect to have a busier time away from reading over the summer so that might change. This is the take control of my tbrs year! I haven't read TKAM since high school and can't even remember if I liked it. But, the coming Harper Lee novel is giving me motivation to re-read TKAM. I've never really considered my reading to be particularly seasonal, but I suppose I tend to read more fluffy fiction in the summer. Even though I work full time and am a writer, I still like to be a little footloose over the summer. I am listening to the audio for TKAM right now. I am LOVING Sissy Spacek's narration.